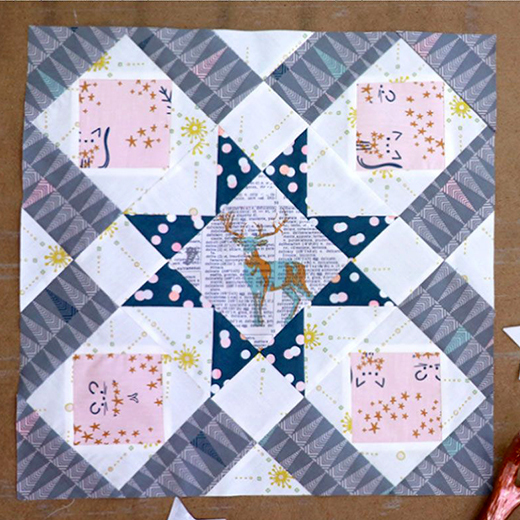 Learn how to make a "Polly's Favorite Block" using Art Gallery Fabrics' "Sparkler Fusion" collection. Perfect for holiday-inspired quilts and home decor! This Polly's Favorite Block designed by Melissa Boike of Live art gallery fabrics, The Tutorial is available for free.